Our main spacialization is the production of belt conveyors. During the years of manufacturing conveyors, we have accumulated vast experience in the production of this equipment, which is used in all industries and agriculture. Tne initial stage, in the manufacture of the belt conveyor, is filling in a questionnaire by the customer. After that, all the issues related to the production of the conveyor are clarified. At this stage, the customer must follow our specialists’ advices, who have the vast experience in the belt conveyor’s production and, as a result know the answer of many questions related to the trasporting cargo through the conveyor lines. 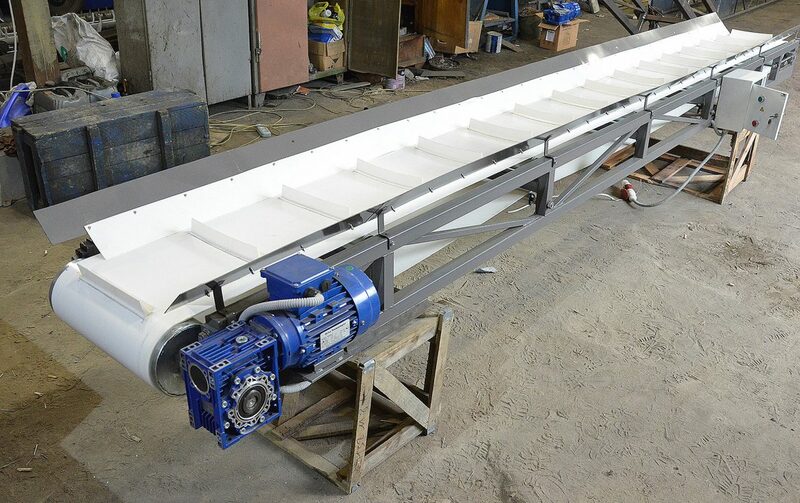 Due to the fact that the customer often encounters with the conveyor’s installation for the first time (such situations arise when setting up production or arranging agricultural production and enterprises) he can not always khow about the existence of problems which may arise during operation of belt conveyor. The choise of conveyor belt’s type, its width, power and type of the drive, as well as a number of parameters of the future conveyor, depending of the type of cargo being moved, the length of the conveyor, the operation conditions of the conveyor it is best to conduct in close cooperation with the specialists of Scientific Production Corporation “KharkovTradeService”. Inaccuracies allowed by the customer in the desired parameters of the belt conveyors, due to lack of the experience, may affect the durability of the conveyor, and may also appear in the fact that the conveyor will not develop the desired performance indicators. Depending of the working conditions, our experts will help you determine with the type of the belt conveyor, which is the best suited for solving tasks. SPC “KharkovTradeService” produces the entire product range of belt conveyors. We will be able to choose the best suited conveyor which fits perfectly into your workflow and increases the economic performance of your enterprise, which is an important factor in the modern competitive economy.